My name is Trinity Boyd and I am a 10 year old 5th grade honor roll student attending school at Mountain View Elementary School in Haymarket, Virginia. I am a green belt in Tae Kwon Do and have won awards in sparring, form and board breaking. I also participate in the student council, in the youth worship group at Park Valley Church , and local plays in my community. I volunteer with a host of organizations in the Northern Virginia area . I am proud to announce that I am the 2019 MAC Miss East Coast Sweetheart. I will be competing this summer in Florida in late November for a national title. For those who have been following my pageant journey this past year you know I hit the ground running and accomplished so many of my personal goals. 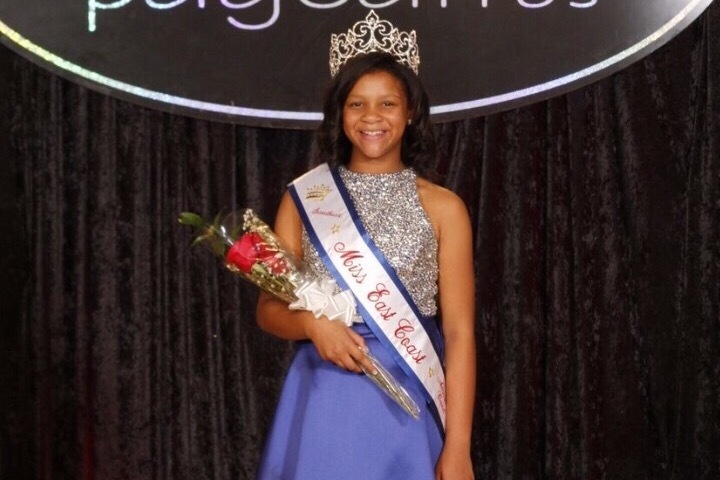 With the support of friends, family, and businesses, I was able to compete in the National American Miss in Reston, Virginia last year. As result, I was crowned the 2017 National American Miss Virginia Junior Pre-Teen Cover Girl. Additionally, I won 1st place in both Photogenic and Acting competitions, and 3rd place in Talent. Most importantly, I was awarded Ms. Personality for the second year in a row. I also had the opportunity to compete at the USA Ambassador Virginia pageant and was crowned the 2017-2018 Junior Pre-Teen Ms. Virginia. I won 1st place in both Talent and Acting competitions. I am hopeful that with your continued support I can represent the entire east coast and achieve the same level of success or greater on the national-level. These pageants are focused on developing life skills and promoting community service. The competitions are an wonderful and fun experiences that will lead to many opportunities in my future. In order to compete on the national-level, I need your support! Thank you in advance for making my dream become a reality.